The OS map of 1862 shows two piers. 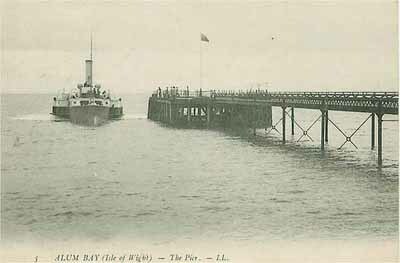 A new pier was opened in 1887 and excursion steamers from Bournemouth, Southampton and Southsea called there. The pier was not regularly used after 1924 and was declared unsafe and closed the following year. A storm in the winter of 1927 caused further damage and the pier was never rebuilt.